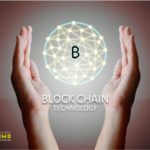 Telegram Open Network (TON) blockchain platform ranks as one of the most high-profile projects of 2018. 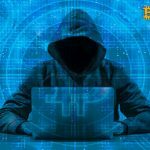 Private ICO TON for "selected" investors, scandals about the Gram trademark, the unwillingness of the Durov brothers to comment on their project - all this fuels interest in the project and at the same time gives the scammers the opportunity to turn frauds against the background of the formed HYIP. 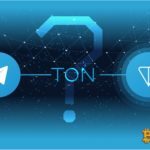 Let's consider in more detail the situation surrounding the decentralized TON and Gram cryptocurrency. In December was published document describing the TON project as a "super server", designed, in particular, for processing micropayments and off-chain transactions using the Gram cryptocurrency. And this is just the tip of the iceberg in the ocean of development plans. According to this technical document, users can use Gram as a payment for goods, services, commission (gas) for processing transactions and smart contracts. Cryptocurrency need deposits that give the right to validate the blocks, as well as to pay for the storage of data in the TON blockchain. Also, the coin will give the right to vote to change or maintain the parameters of the network protocol. In addition, as a means of payment Gram will allow you to register domain names and hosting based on TON blockchain solutions, hide IP addresses and circumvent censorship of Internet providers. The initial Gram emission will amount to 5 billion. At the first stage of the project, 52% of the coins will be kept in the TON reserve to guard against speculation, 44% of the Gram will go on sale, and the remaining 4% will be received by the development team. 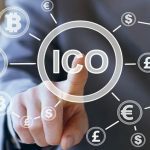 ICO TON took place according to the SAFT-concept (Simple Agreements for Future Tokens), which includes the transfer of rights to coins in exchange for US dollars. These rights will convert into the Gram cryptocurrency after official launch of TON blockchain in the ratio 1: 1. In May 2018, a trial began between the Telegram Group and the American startup Lantah about the rights to the Gram trademark. Both companies liked this word for the name of the cryptocurrency. So far, the California District Court has not ruled in the case. Nevertheless, at the moment, Durov is in the lead in the dispute. The plaintiff in the person of Telegram is confident that he has priority rights to the trademark. The main argument is that during the first and second rounds of the closed ICO, the company managed to raise $ 1.7 billion from 175 investors who signed agreements on the purchase of a cryptocurrency called "Gram". This is evidenced by documents filed with U.S. Securities and Exchange Commission (SEC). In addition, according to Coindesk, investors received a memorandum on possible risks associated with the purchase, sale and use of Gram. "Unlike the extensive Telegram campaign, the [Lantah] respondent did not provide evidence that he spent the same amount of time, energy and resources to develop the project related to Gram." Note, in the United States, the right to a trademark obtained even without registration of a patent application. To do this, it is sufficient to prove that the company has already used the sign in business or provided related services. Therefore, the additional argument Lantah that in July the company received a patent from the USPTO for the further use of Gram as a virtual currency, has not yet played a significant role in the process. On August 8, at the 40th meeting, Judge Charles R. Breyer made a provisional decision in favor of Durov's company in order to prevent money losses and damage to reputation due to possible confusion at the expense of similarities. He forbade Lantah to use the Gram trademark in any projects in the United States until a final order was issued. In the conclusion Breyer also said that, judging by the evidence, Telegram takes precedence in using Gram, accordingly, the company has more chances for a positive outcome of the case. "When registering sales with SEC Telegram, I definitely believed that I was doing business, and buyers certainly thought the same when signing agreements. Moreover, the law supports the idea that the acceptance of orders [for the purchase of GRAM], regardless of the fulfillment of these orders, is the "use" of the trademark, "the judge concluded. Beware, This Is Not A Gram! The currently existing Gram cryptocurrency is not currently available. To take part in a public ICO is also unlikely to succeed. However, there were many who wanted to become a part of the project, which scammers used. In addition to the appearance of fake websites ICO Telegram, the network actively began to offer the purchase of Gram. Until now, a number of crypto exchange markets offer to purchase Gram. According to the Cryptocompare service, trading with a coin called Gram is available on the exchanges CCEX, ZB and several other venues. In addition, the Hong Kong stock exchange LBank in March announced the launch of the token of the Gram coin. To date, the site is available to trade coins paired with Ethereum allegedly from Telegram, but already called Grams. #Telegram tokensale ($GRAM) will be open on #LBank.info soon! Token trading sale will be open since 20:00 March 14th, 2018. The general damage from all scams and introducing trusting investors in the delusion of projects is unknown. © 2018 bit.news | queries 228, for 0.442 sec.